Depardieu, who turns 64 this month, said he has worked since the age of 14, first as a printer, and that in last 45 years he has paid €145 million ($190 million) in taxes. Gerard Depardieu said in an open letter that he is leaving France because the government "considers that success, creation, talent ... should be sanctioned." Gerard Depardieu, one of France's best-known actors, has chastised his country's Socialist prime minister for insulting remarks over his decision to move to tax-friendly Belgium and said in an open letter published Sunday that he's turning in his passport. 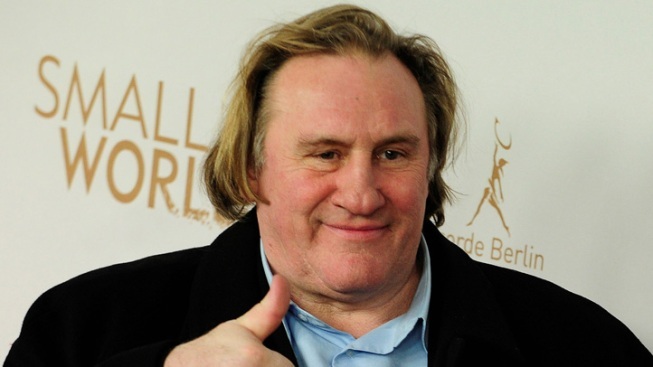 The letter, which the weekly Le Journal du Dimanche said was penned by Depardieu, quickly propelled him into the spotlight, not for his acclaimed acting skills but for raising the sensitive issue of tax exiles as France looks to fill state coffers with a stiff tax on the rich. "We no longer have the same country. I'm a true European, a citizen of the world," Depardieu wrote in the letter. He said his 2012 tax bill — 85 percent of his revenue — is fully paid. "I hand over my passport to you and my social security card, which I have never used," the letter said, referring to Prime Minister Jean-Marc Ayrault. Last week, Ayrault called Depardieu "pathetic" and "unpatriotic" for the actor's decision to move to Nechin, a Belgian village barely a mile (1.6 kilometers) across the border from Lille in northern France. Nechin has drawn other high-earning French residents. The letter drew quick reaction but little sympathy. Culture Minister Aurelie Filippetti said she was "scandalized" by Depardieu's decision to turn in his passport. "French citizenship, it's an honor," she said on BFM-TV. "It is rights and duties, too, among them to be able to pay taxes." President Francois Hollande plans to levy a 75 percent tax on revenue over €1 million to reduce France's budget deficit and debt, and Filippetti said, "Gerard Depardieu is deserting the battle in the war against the crisis." David Assouline, a spokesman for the governing Socialist Party, said of the actor: "He's playing his worst role." But Depardieu said in the letter that he is leaving his country because the government "considers that success, creation, talent ... should be sanctioned." Others have crossed the border before Depardieu, notably the man billed as France's richest, Bernard Arnault, chief of the luxury goods and fashion giant LVMH and worth an estimated $41 billion. He is seeking Belgian citizenship. It's unclear whether Depardieu realizes his proclamation may in the end just be a symbolic gesture because it's hard to stop being a French citizen. The Civil Code says one must have another nationality in order to give up French citizenship because it is forbidden to be stateless. Depardieu's burly presence is well-known in France. He has made more than 150 films and is internationally acclaimed, including an Academy Award nomination for his portrayal of Cyrano de Bergerac in the 1990 film by the same name. In an upcoming movie to be directed by Abel Ferrara, Depardieu will portray former International Monetary Fund chief Dominique Strauss-Kahn, who fell from power on claims by a New York hotel maid of sexual assault. Charges were dropped and a civil settlement was reached. A French case that Strauss-Kahn seeks to dismiss is pending.